The ability to write proposals that get you obtain funding for research is a skill that every organisation and early stage researcher must invest in and have. This course has been designed in such a way as to equip participants with essential proposal writing skills that are effective and practical. The course material is drawn from well researched and tested experiences on proposal writing. ESRs will be exposed to the theoretical foundations of proposal writing and at the same time engage in intensive practical sessions where they are expected, through practice in writing proposals, to apply what has been learnt. Furthermore, adult learning methods will be employed where ESRs share experiences on how they can be more effective in their proposal writing. A sample proposal that can be used as a model will be given to every ESR for future reference. 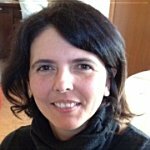 Germana Di Falco is a former adjunct Professor of Public Management at Bocconi University (Italy), where for over 15 years she has led major programs with in-depth coverage of cutting-edge social and economic development initiatives. As an independent expert, she is in charge of technical assistance and ex-ante, in itinere and ex post evaluation of complex investment programmes and EU integrated projects. She cooperates with the EU Commission on understanding and removing barriers to inclusive change and empowerment in cities, so to drive responsibly engaged investments and active citizenship in the coming decades and is member of the Core Expert Group of the URBACT and UIA programme. She is the Project Manager of several EU projects, including the MSCA COFUND REP-EAT Project, funded to the University of Teramo. This course teaches participants the most efficent process to plan and write an effective proposal. You can slides and supporting materials below. Success rate is what really matters when submitting a project proposal. In this first session you will acuire basic standards and concepts to draft an effective proposal. Project Cycle Management (PCM) is the guiding methodology to be applied if you want to originate sound and coherent proposals and to adopt the “YOU” focus. In this session, you will get familiar with the PCM methodology and you will learn how to apply it from the idea generation to the proposal writing. In this session, the main evaluation criteria of ERC grants and MSCA proposals will be explained. To know in advance the evaluation criteria and how they work will offer you a guidance to avoid common mistakes when drafting a proposal. Labs will give you the chance to go deeper and more practical into the course contents. This section is not compulsory, but will offer you concrete examples of good proposals and inspirations for your daily activities. Follow the instructions in the attached slides. When you are ready you can send the exercide to the course coordinator.